Over 1.5 billion people live without electricity and small luxuries such as lighting. With power grid systems to expensive to implement, bottom-up solutions using renewable energies are required. WindPax, along with solar power, can dramatically improve this energy problem and bring lighting and other luxuries to those in need. 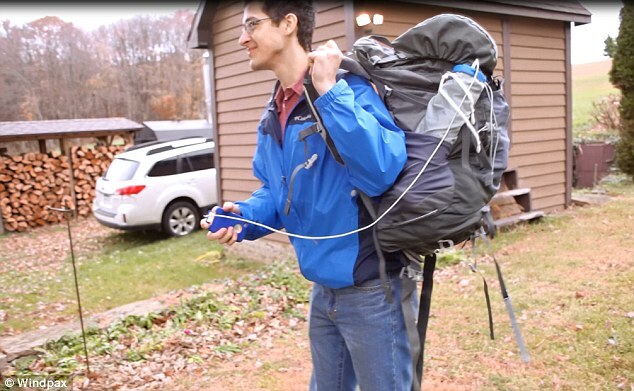 A graduate from West Virginia has designed a portable charger that can be powered by the ‘slightest of breezes’ and is designed to fold up and fit in a backpack. Wisp is designed to be used for a backup power supply in emergency situations. This innovative device was successfully funded on Kickstarter last year. The collapsible Wisp will power up all your devices in the wilderness. The ‘Wisp’ is power on the go or backup power supply in emergency situations. It is a 25 Watt unit used to power and charge small electronic devices or run LED lighting. The ‘Wisp’ delivers power to any electronic device that uses standard USB for operation. With a packaged length of 14″, a diameter of 3″, and a total weight of less than 4 pounds; it can easily be transported in a backpack or bag. These wind turbines are energy producing, energy storage devices based on WindPax innovative designs. 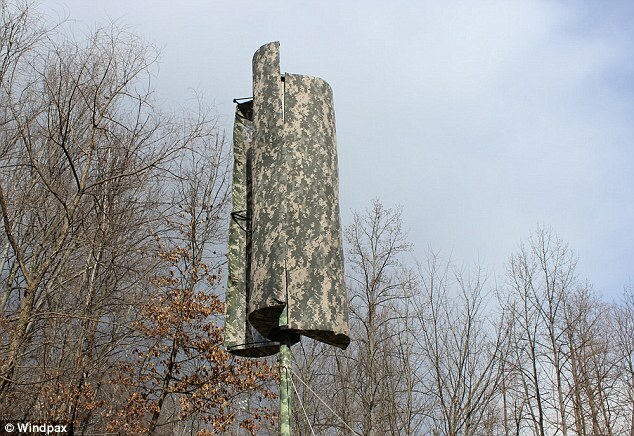 The current WindPax line consists of three wind turbine sizes with various power ratings. These three sizes meet the energy needs of those around the world who do not have access to grid power. It can power small electronic devices or run LED lighting and is recommended for camping trips, for example, because it can be hooked onto a tree, bus stop or bench. WindPax use durable, light-weight materials for construction and have the benefit of generating and storing electrical power in remote locations and transported with ease to satisfy the needs of the user. WindPax wind turbine technologies are different in that a method for producing efficient functional small scale wind turbines for transportation and remote use has not been an easy task. 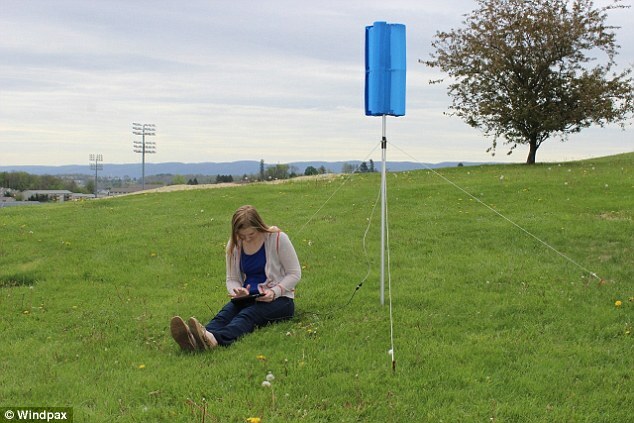 With the patent pending design, WindPax has perfected the small scale wind turbine to be collapsed and transportable, as well as storing generated energy for use while on the go.